The famous Dakshineshwar temple in Kolkatta (Calcutta) was founded by Rani Rashmoni. The temple houses the idol of Goddess Kali who is the main diety. 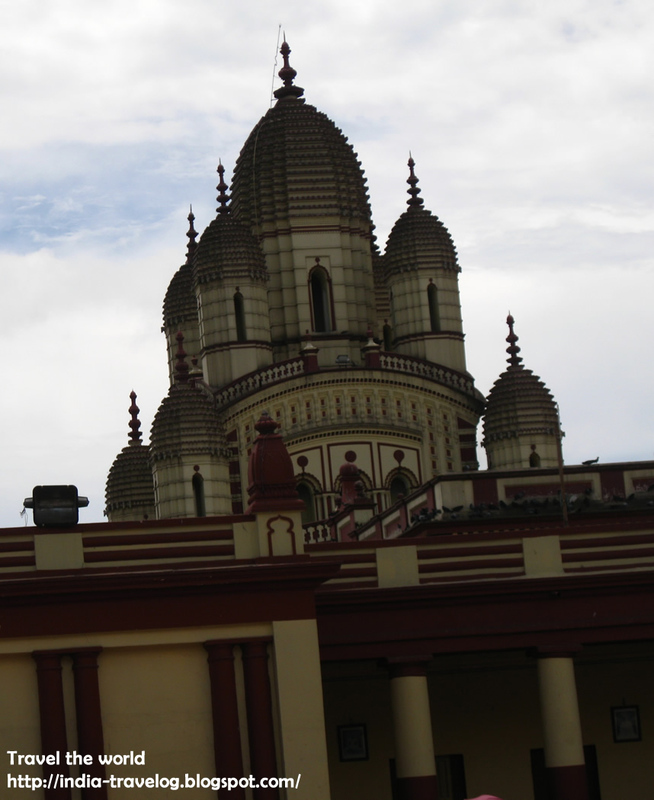 The temple precinct also houses 12 identical temples dedicated to Lord Shiva. These 12 temples house black Shivalings while the interior is also done in black and white stone. 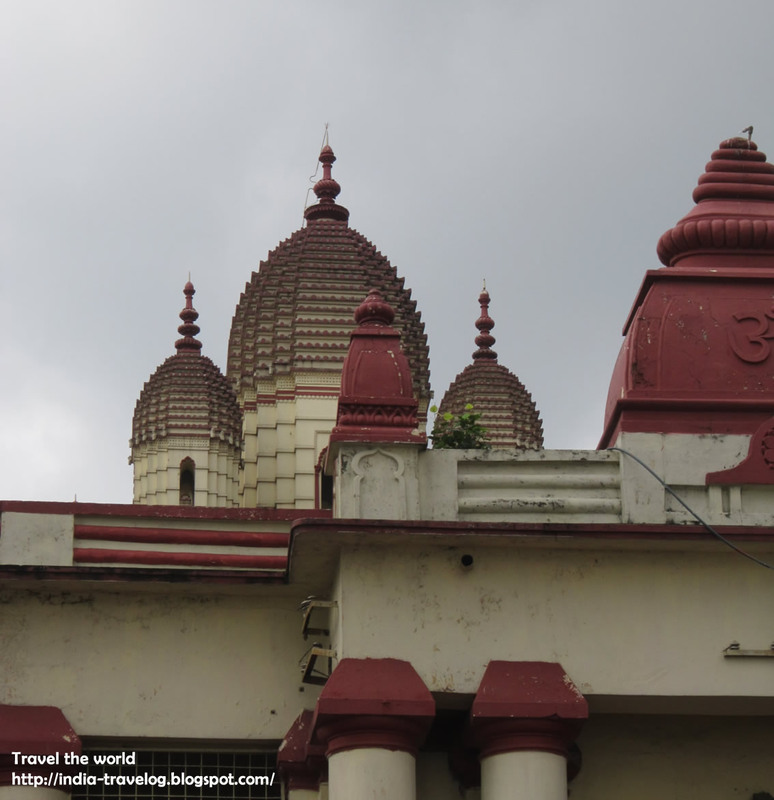 In the north east corner of the temple precinct is the temple dedicated to Vishnu or the Radha Kanta temple. It houses the idols of Krishna and Radha. 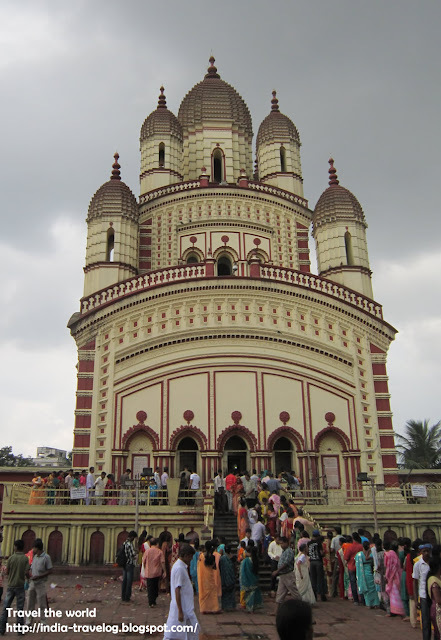 The main Kali temple is built in the traditional Bengali architecture and has nine spires which are on the upper two sotreys of the temple. The temple is situated on the eastern bank of river Hooghly. 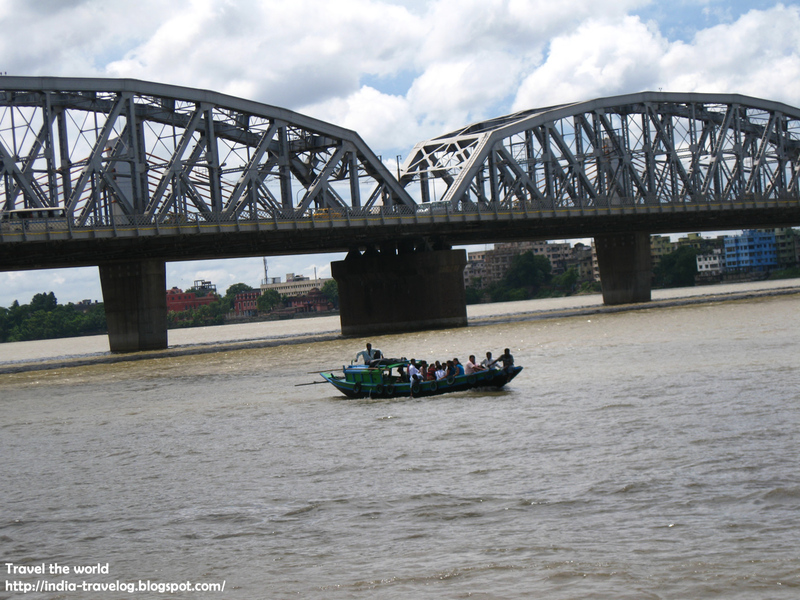 A must see if you are in Kolkatta. Note: All images in this post are courtesy Raghuveer Ramkumar from Hyderabad. "If you've just read this post somewhere other than World travel Blog, it's been plagiarized..."